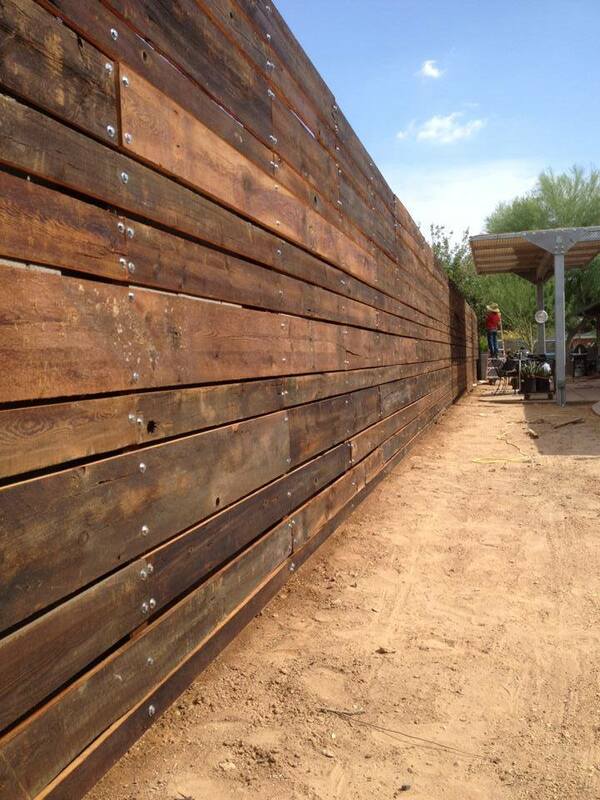 Here’s a block wall we covered over with a reclaimed wood horizontal slat fence for a customer. They wanted something more warm and inviting than the existing wall that divided the two homes. This is reclaimed barn siding in a few different widths. It spans about 250 linear feet about 7 foot tall.